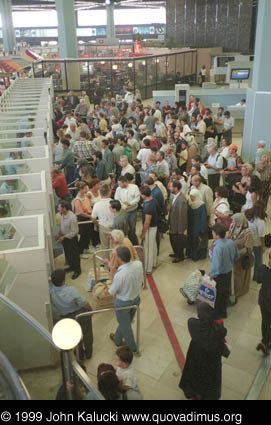 Emigration control at the old Istanbul Airport. Chaos. An uncharacteristic lack of English signage. Heat. Stale Air. Lines. Cutting. Pushing. Delays. Delays. What's That Smell? More Pushing.